UPDATE: Pilot Ray Harris and his daughters Ramie Harris, 21, and Shey Harris, 20, were identified as three of the victims that were killed in a plane crash in Crystal Lake, Illinois on Saturday morning. The fourth victim — a male friend of one of the young women — has not been identified. Ramie Harris was flying with her father, sister and a friend to Illinois for her return to Wheaton College, where she was a junior. Pastor Ryan McCarty, acting as spokesman for the family, released the information. Crystal Lake firefighter/paramedics, Crystal Lake police, and McHenry County Sheriff deputies responded about 10:30 a.m. to a farm field near the Route 14 and North Ridgefield Road in unincorporated McHenry County. Rescuers discovered a crashed single engine aircraft with N-Number N223CD in which four victims had been killed. The FAA N-Number N223CD is registered to Marion Pilots Club, Inc. in Marion, Indiana. The aircraft was manufactured in 2000. Photos from several media sources published photos of a red parachute at the crash site that was mistaken by some bystanders as a deflated hot air balloon. Early on rumors spread that a hot air balloon with four aboard had crashed. 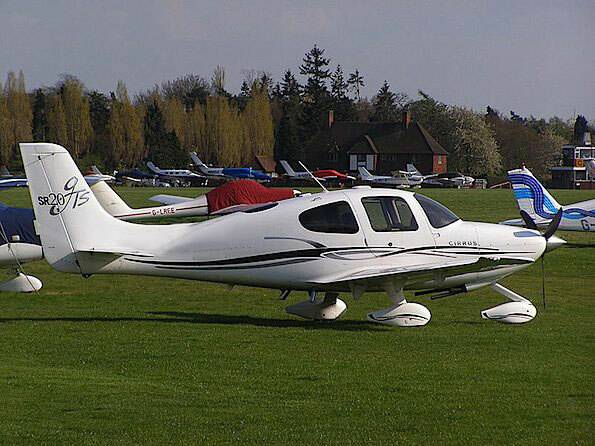 The Cirrus SR20 was the first production general aviation aircraft equipped with a parachute designed to lower the aircraft safely to the ground after loss of control or structural failure. The SR20 is equipped with the CAPS (Cirrus Airframe Parachute System) Ballistic Recovery Systems Cirrus Aircraft Parachute System, a large parachute which can be deployed in a flight emergency to lower the entire aircraft to the ground safely. According to the Cirrus Owners & Pilots Association, there had been 26 saves out of 30 deployments with 50 survivors and one fatality in aircraft equipped with CAPS as of October 24, 2011. Four activations of Cirrus Airframe Parachute System are considered unsuccessful deployments with five fatalities and two serious injuries. Regarding all six fatalities: Two fatalities involved a mid-air collision with another aircraft, one fatality involved high altitude with severe icing, 1 fatality involved activation during stall/spin at low altitude with the parachute observed not-fully deployed (considered ‘Save’ as three on board survived with serious injuries), and two fatalities occurred from spinning aircraft at low altitude with parachute not-fully deployed. Nineteen of the deployments resulted in ‘soft’ crashes with 39 uninjured occupants. Of those 19 deployments, only one occupant suffered serious injuries in a crash that involved fuel exhaustion and deployment at low altitude with a landing in trees and grass. The McHenry County Conservation police and McHenry County Coroner’s Office also responded to the scene.